Veteran Actress Melissa Mendez is going through a rough scandal right now after being offloaded in a flight because of a dispute inside an Airplane Cebu Pacific, and it had been one of the hottest topic on all social medias till today. Directly involve in the issue is Andrew Wolf, a Filipino-British Rugby Sevens player and model together with his friend, Rey Pamaran. The conflict between the two parties started after Mendez sat on the reserve seat of Wolf to take some pictures of the clouds. This issue is being held already by the authorities, that is why the actress already made a public apology via Instagram to Rey Pamaran, the person she slapped inside the plane, so not to prolong the issue. But it seems that the latter did not accept her apology and insisted that Mendez must tell the truth and do it on TV. Pamaran said in a post he maid in his Social Media Account, "Reading the response of the supposedly 'public apology' of Ms. Mendez, I immediately made up my mind to pursue my cases against her," and added, "I was hoping for a more heartfelt reply, where she would not only apologize but also own up to the lies that she said on TV to defend herself while destroying my reputation." 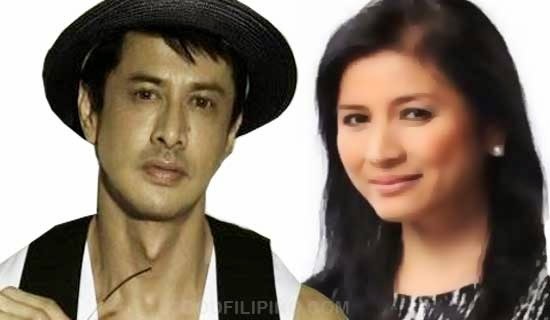 He also said, "I am giving Ms. Mendez one more chance to clear EVERYTHING IN DETAIL, including all the lies that she said about the incident," adding, "My lawyer, Atty. Fortun, will be filing the cases tomorrow so I guess that's about the time that she has left." Pamaran's following statement said, "I think this is not too much to ask. And please do it on TV, because that is where you destroyed my name." And ended it with, "Making statements thru social media just adds insult to injury." Will just have to wait what will happen to this issue. Will Mendez do what Pamaran asked of her or she'll stick on what she have already said on the national TV? For that please do bookmark this page for more updates regarding the said news. If you have any questions please do not hesitate to leave a comment on the reserve section below, we'll definitely answer anything. Thank You. Comments or suggestions about "Rey Pamaran rejects Mendez' Apology said 'Do it on TV'" is important to us, you may share it by using the comment box below.